Together | Where's my backpack? This is from a post I made earlier this year, Photographing Grand Central. 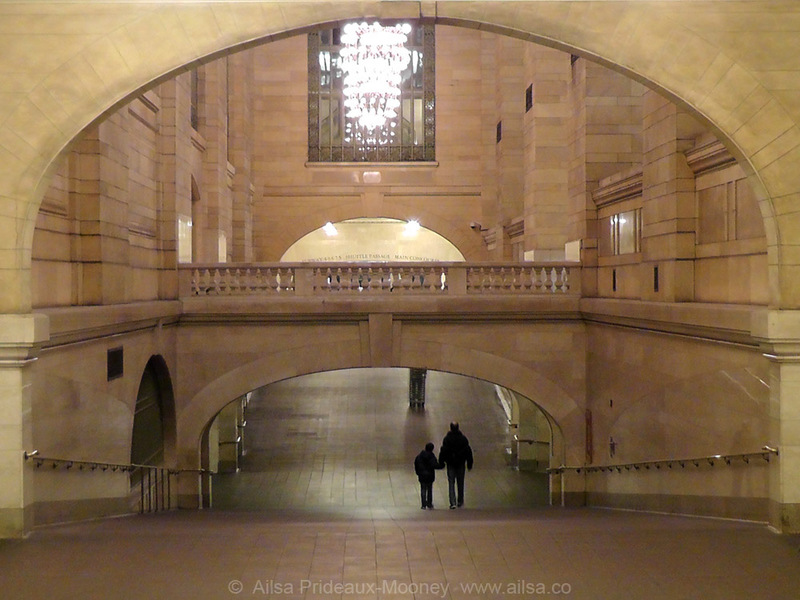 It was very early in the morning and Grand Central Terminal was deserted except for this man and his son walking hand-in-hand together through the cavernous hallways. I couldn’t resist taking a photo; it was such a lovely image and perfect for this week’s photo challenge. So many lovely interpretations out there; here are some of my favourites: Wind Against Current, conservingquirky, Jeff Sinon Photography, MJ Springett, Frizztext, Northern Narratives, Creativity Aroused, Colderweather, A Word in Your Ear & Cardinal Guzman. This entry was posted in Photography, Travel and tagged new york, photography, photos, pictures, postaday, travel. Bookmark the permalink. I like this one even better than the deer(?) on your other blog. How lucky to have found them alone. I don’t think the photo would have as much impact if the father / son weren’t alone in such a large space. I know, I can’t help but take photos when I’m passing through. Such a magical place. I remember this one! It’s a stunner. So many interesting geometric shapes, and yet we can’t help focusing on the man and the boy. Beautifully done. L.O.V.E. this image. what a great take on the challenge!